Environmental and sustainable transport campaigners have welcomed the result of Dr Emma Tristram’s legal action, but say, ‘we need smarter solutions’. 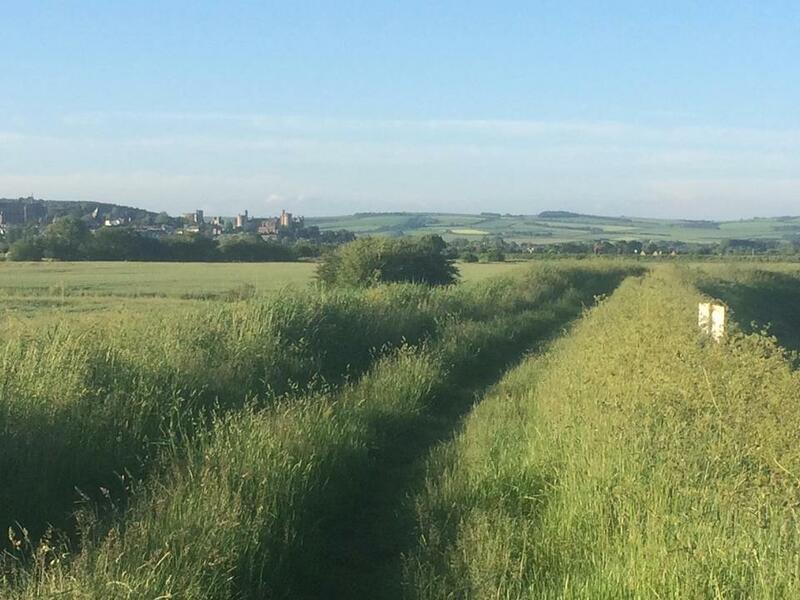 Dr Tristram was contesting Highways England’s decision to put a new dual carriageway route through Arundel’s watermeadows and the South Downs National Park. Her legal case was based on the errors in the 2017 consultation. Arundel Bypass Neighbourhood Committee (ABNC) spokesperson Mike Tristram said, ‘In October Highways England announced that they are running a new ‘non-statutory public consultation’ in 2019 on the same three options as before. As a result of further legal negotiations, Highways England have also now undertaken to correct the errors in the 2017 consultation, and to conduct a procedurally fair consultation.’ Having achieved these concessions, Dr Tristram has now withdrawn her legal claim and Highways England will pay her legal costs to date. The Preferred Route decision of May 2018 (Option 5A) remains in place, but the choice between options is re-opened. A new Preferred Route decision will be taken after the new consultation. As well as the errors in the consultation, Dr Tristram’s legal grounds included the misleading traffic figures given in 2017, which stated that Option 5A gave much better traffic relief to villages in the Downs than the other options. This was shown to be false by Highways England’s own Scheme Assessment Report of June 2018. The new consultation will include entirely new traffic figures. The South Downs National Park Authority had also applied for Judicial Review of Highways England’s decision, on the grounds that impacts on the Park, and options with less impact, had not been properly considered in the consultation. In spite of Highways England’s undertakings, campaigners consider that severe problems remain. One is Highways England’s determination that the Arundel scheme should be a dual carriageway. Another crunch point for campaigners is the failure of either Highways England or the government to look at smarter alternatives to new major road schemes. the Arundel A27 Forum and the South Coast Alliance for Transport & the Environment (SCATE).